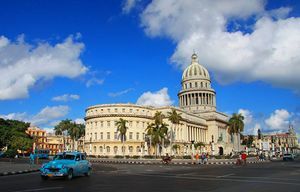 If you’re thinking of traveling to Cuba in May, don’t leave planning it until the last minute and be sure of a high quality stay with the help of a Cuban agency with years of experience such as ours. All you have to do is fill out the following form and we’ll create your personalized trip to Cuba without leaving any loose ends. 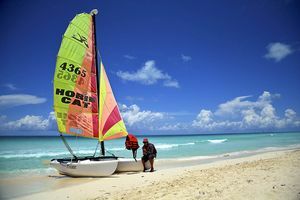 Choosing May as the month for traveling to Cuba is one of the best ways of discovering the island while avoiding the high temperatures and influx of tourists. 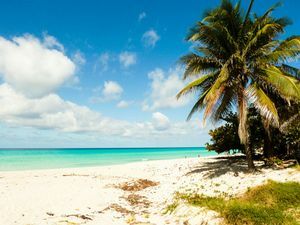 In this way, you’ll enjoy the tranquility of its must-visit cities such as Havana or Trinidad and you’ll be able to dedicate as many days as you wish to spending time on its spectacular beaches in Varadero or in its Keys, like the unavoidable Cayo Santa María, Cayo Coco or Cayo Guillermo. Even more, you’ll be able to attend one of the most deep-rooted Cuban folk traditions such as the May Pilgrimage in the city of Holguin, the Romerias de Mayo de la Loma de La Cruz. So what are you waiting for? Tell us what your ideal trip to Cuba would be and we’ll take care of whatever you want, adapting ourselves to your needs.